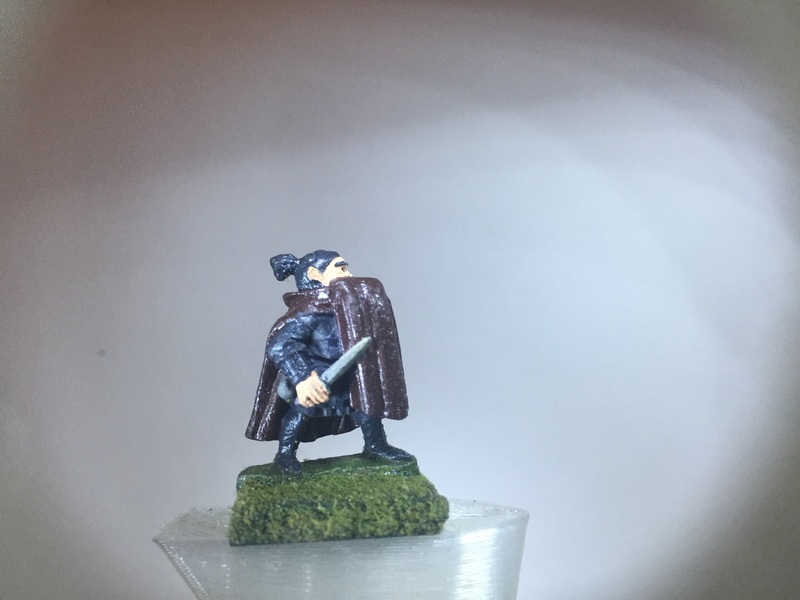 This week I’m featuring a vintage Ral Partha male halfling rogue. He’s wearing a cloak with leather armor and a dagger. I painted his clothes dark because I needed a sneak thief for a character I was making.